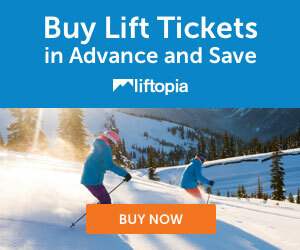 Deal: One to 5 Day lift ticket discounts at up to 21% off on Liftopia! 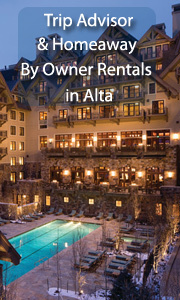 Check out our great Hotel picks and by owner vacation rentals for Alta! 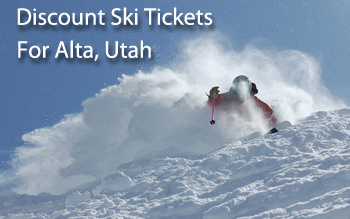 We offer discounts on ski tickets, ski rentals, lodging, by owner rentals, and apres ski ideas for Alta, Utah. Featured: Alta's Rustler Lodge- Book it! See All our handpicked By Owner Listings! 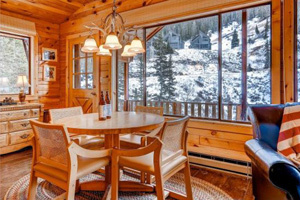 Manley Ski Cabin - 2 bedroom - 2 bath - sleeps 4 - from $367/nt -- Book it! The Manley Ski Cabin, located in the Town of Alta, is a single level 2 bedroom 2 bathroom home that sleeps 4 people max. The first bedroom has a Mt. Superior view with one queen bed and a jetted tub in the master bath. The second bedroom has one queen bed as well. All beds are furnished with down comforters and Frette duvets. The home has a fully equipped kitchen (with the exception of NO dishwasher), washer/dryer, and the dining area has seating for four people. 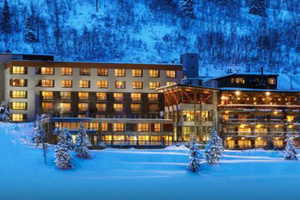 Great Apres Ski Ideas for Alta! Great ideas for apres ski in Alta! 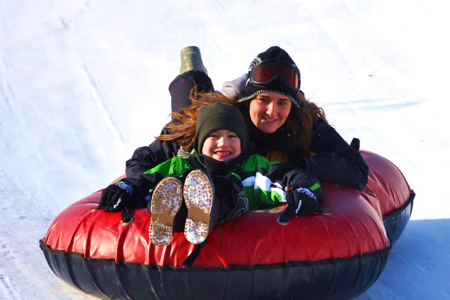 This is the tubing hill! Discount Ski Rentals: 20% off at the base with Christy Sports if you book here! Christy Sports is at the base and offers 20% off of rentals if you order ahead thru our portal to Christy Sports - we have negotiated a relationship with Christy. Alta, located in the Wasatch Mountains, is one of the oldest ski areas in the United States and is well known for the phenomenal quality of its snow. If you’re looking for the pow-pow, head to Alta, since it piles up at a rate of more than 500 inches a year. Alta is also one of the only ski areas in the United States that doesn’t allow snowboarders, so don’t expect to ride here. Alta has a whopping 2,200 skiable acres of terrain served by seven chairlifts.